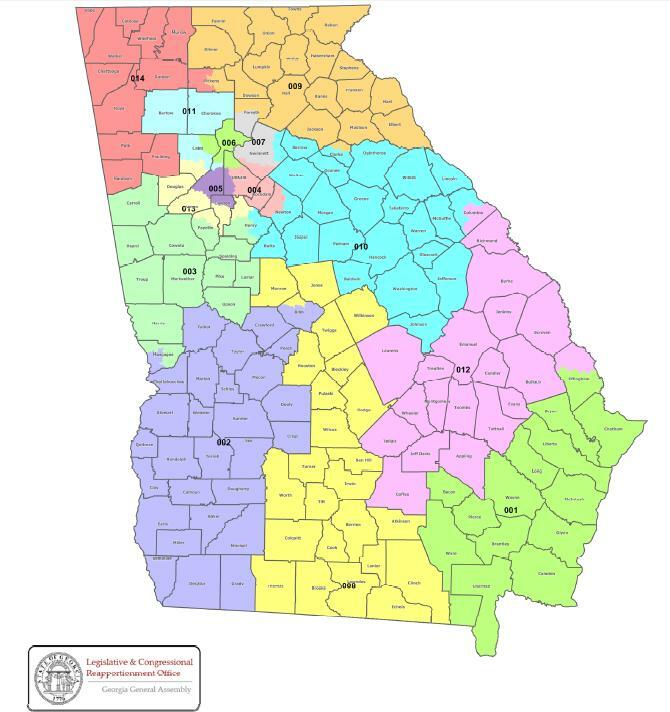 Georgia’s proposed congressional map is out and I feel just fine. President Obama once said don’t let perfect be the enemy of good. I would have liked my hometown to remain in Rep. Sanford Bishop’s district but we took one for the team. Since my county is GOP-dominated, it’s better for Bishop that we bounce into the 8th congressional district and Rep. Austin Scott is much more open to debate and discussion than the average southern Republican. The guy can go toe to toe while keeping the punches above the belt. Being comfortable in a conservative congressional district was prepped by having two conservative U.S. senators and surprisingly by the moderate service of Blue Dogs like Sanford Bishop and former Rep. Jim Marshall. We must ask ourselves if GOP congressmen are more influenced by the energetic Tea Party Movement or the sizeable moderate sections of their areas. To be honest, Democrats and Black folks need to build a functional relationship with whoever serves them because elected officials sometimes look at election results and get punitive. If this map stands, it would be a waste of time and energy running candidates against Bishop and Scott. The battleground is the new 12th district and my good friend Helen Blocker Adams might be kingmaker over there because she knows Augusta like the back of her hand and real people trust her. Man, I wish Bishop and Scott could take the time they would spend (waste) fundraising and campaign and use that energy to find a common ground.